New Jersey lawmakers plan to hold a hearing at the state capitol in Trenton on Monday in hopes of learning more about a virus outbreak that's claimed the lives of 11 children. The New Jersey Department of Health confirmed Wednesday that 48 children and one staff member at two facilities in the state have contracted the virus. 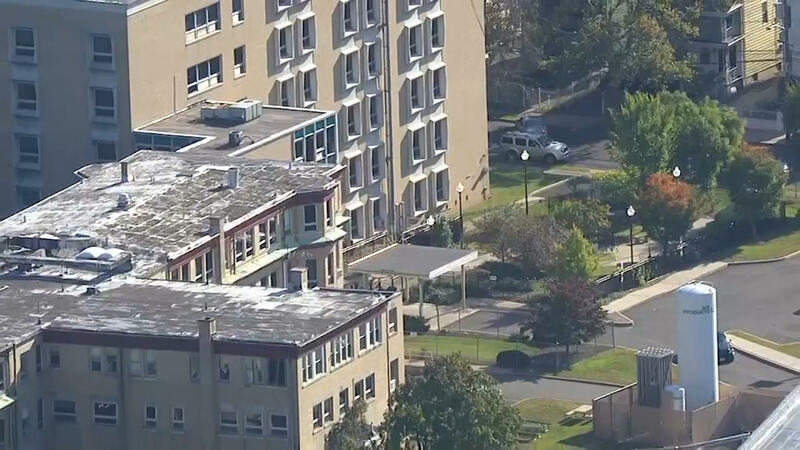 At the hearing, members of the New Jersey Senate Health Committee will question leadership from the Wanaque Center for Nursing and Rehabilitation, the facility where all of the deaths have occurred, on how the adenovirus, a respiratory virus, infected 34 vulnerable pediatric patients, ultimately killing 11 children. Amanda Melillo, a research assistant at the state Senate, described the inquiry as a "fact finding mission" to determine what happened and what the state's responsibility may be in the tragedy. All of the victims had severely compromised immune systems due to other serious medical conditions and many were considered wards of the state. "We want to get to the bottom of all of this and find out whether this was a human error, a systems error, or both," New Jersey State Senator Joseph Vitale said in an interview with CBSN on Thursday morning. Vitale is the head of the committee leading Monday's hearing. "I think it's both. I think there's a breakdown somewhere." Adenovirus is a common respiratory virus which can cause serious illness and even death in fragile patients. Initial symptoms can appear similar to a cold, including a sore throat and fever, but can develop into more severe issues like bronchitis, pneumonia, diarrhea, or pink eye, according to the Centers for Disease Control and Prevention. Bladder infections, inflammation of the stomach or intestines, and neurological diseases have also been linked to the virus. State health inspectors, who have been investigating the Wanaque Center, say a failure to take simple precautions, like regular hand-washing, may have helped the virus spread. Previous patients at the facility have complained about poor conditions. "We're talking about caregivers and nurses and others that may have been able to transmit this virus from the very first patient to now way more than a dozen," Vitale said. But Wanaque has pushed back against the accusations, noting its ranking in the top 10 percent of nursing facilities in the U.S.
Officials say the children became sick between Sept. 26 and Nov. 12, but according to Vitale, children who were displaying symptoms of the illness weren't tested for the virus until several days after the first patient died. Parents weren't noticed of the outbreak until at least a week later, the state senator said. "These are medically fragile children, anything could potentially kill them," he said. "The adenovirus will give us a cold, maybe worst case scenario pneumonia. But for children who are profoundly disabled, had real issues, were on ventilators, anything could kill them." New Jersey Advance Media reporter Susan Livio, who has been investigating the outbreak, told CBS News earlier this month that some staff members blame budget cuts and poor management for the extent of the problem. Two workers she interviewed, who asked to remain anonymous, said Wanaque was understaffed as a money-saving measure and that managers delayed getting the children to a hospital in order to maximize Medicaid funding. "The workers claim that there was a policy of trying to keep the beds filled as long as possible. Because as soon as the children leave the facility, the facility loses its Medicaid funding, and that's $519 a day [per patient]," Livio said.